Arrested in Vermont for DUI? I can help! Vermont DUI Attorney Bradley Myerson. Call 877-763-7144 Today for Assistance with Your DUI Case. An experienced Vermont DUI attorney can help you through the staggering emotional, financial and family consequences of a DUI arrest. 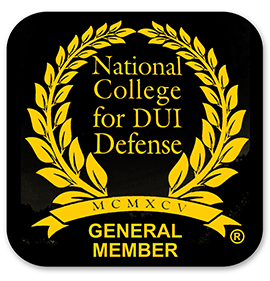 Having defended drinking drivers in Vermont since 1982, I have the knowledge, the focus and the determination necessary to successfully defend your case.In Vermont, first offenders face a 90-day suspension (or more), a $750 fine, up to 2 years imprisonment, evaluation by a licensed alcohol counselor, driver’s education classes and more. Repeat offenders face even harsher penalities. If you are from out of state and are convicted of a Vermont DUI, that conviction will be forwarded to your home state where you could be facing a potentially longer license suspension than 90 days. I can help you avoid imprisonment, retain your license, keep your vehicle, avoid insurance surcharges, prevent a criminal record and reduce your fines. Please visit our new Videos Section. This growing library of videos will help walk you through your DUI Defense and provide a better understanding of the process. If you are facing a DUI in Vermont, Don't Go it Alone! Call me today. Obtain the video and all records of your stop, arrest, and processing. Review and challenge, if warranted, the legality of stop and of the roadside testing, including the vehicle exit order. Review, research and challenge, if warranted, the in station breath testing procedures, including whether counsel was provided, whether all Miranda and breath testing rights were properly given, whether a private conversation with counsel was provided and whether proper breath testing protocols were adhered to. Review maintenance records for the breath testing machine to determine its accuracy when the test was given, when your test was taken. If blood testing was performed, either for alcohol or drugs, whether collection, testing and analysis protocols were strictly followed. Retain the services of a forensic chemist to attack the breath or blood test results. Defend you in Court for all Hearings, including Motions to Suppress and Civil Suspension Hearings. Negotiate the best possible Plea Agreement. Try your case to a Jury. Attorney Bradley D. Myerson of Manchester Center, Vermont, has been selected for inclusion in the 2019 Editions of The Best Lawyers in America and U.S. News and World Report "Best Law Firms" for his work in Criminal Defense. Toll Free: (877) 763 7144 .